PODCAST 122 IS GOOD FOR YOU!!! Yes! 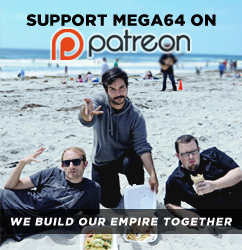 It's Tuesday, and time for the best part of the week...The Mega64 Podcast! In this episode: We actually devote a large section to talking about video games. We give our review of the "New Super Mario Brothers Wii,"